Billed as ‘Son of Sondek’, as Linn’s second-ever turntable design always had much to live up to. Launched in 1987 when Compact Disc was finally taking hold, it was Linn’s attempt to lure silver disc purchasers back to vinyl. This meant it had to outperform decent CD players, be easy to set up and use and look good. By any yardstick it succeeded on all three counts. For example, its intelligent active power supply not only gave Linn users push-button 45RPM for the first time, but varied the power going into the motor depending on the load. Clever stuff – so clever that it subsequently appeared on Linn’s top Lingo PSU three years later. The other trick was its novel, non-adjustable rubber suspension system, which meant the Axis worked straight out of the box. Unfortunately, for those schooled in the Cult of Linn, this was most uncool, depriving the Axis of a number of Flat Earth brownie points! Elsewhere, the Axis borrowed a lot from its bigger brother, with the same – albeit less highly specified – bearing, aluminium subplatter and felt mat. The black vinyl wrapped plinth was a cheaper affair than the LP12 but handsome nonetheless, which together with the brushed satin black top plate looked fresher and more contemporary than the Sondek. The original Axis came complete with an LVX+ plus arm for £299 – a modest sum considering the armless Valhalla LP12 cost over twice that. Unfortunately, being a distant relative of the ADC ALT-1, the LVX wasn’t up to much, being just about capable of tracking a mid-price moving magnet cartridge. The Akito which replaced it in 1989 was an altogether sturdier design, but still no match for Rega’s giant-killing RB300. Strictly speaking, the Axis was never the best sounding turntable in its price range – the Manticore Mantra lay claim to that mantle – but was a damn good second. Properly set up with a decent cartridge such as a Linn K9 it still sounds surprisingly good by today’s standards. Curiously, its presentation is closer to Roksan’s Xerxes than its big brother, being tight, lean and punchy, with no trace of that bass bloom and ‘woody’ lower mid coloration that characterised the LP12 of the day. Speed stability is good, as are dynamics, and it still has that quintessentially Linn rhythmic bounce. 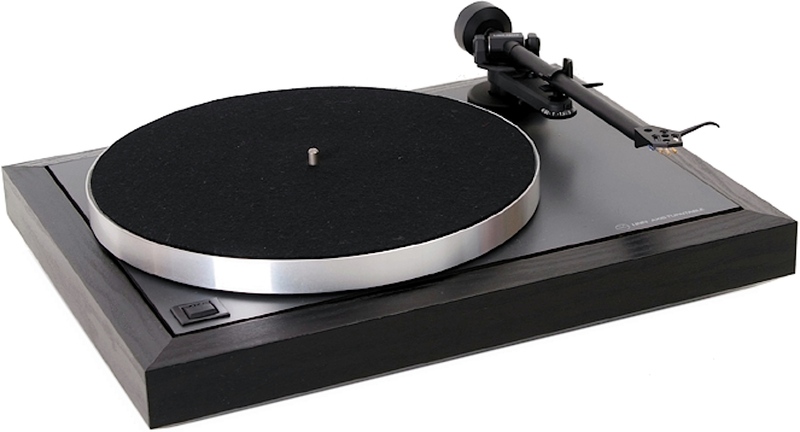 It isn’t really in the super-deck league, but is still a significant step up from a Rega 3. Drawbacks? PSU problems have been known, with stories of mains surges spontaneously starting the motor and cooking the active power supply – the answer being to unplug the deck when not in use. Also, the rubber suspension sometimes goes out of alignment, making it hard to level the deck. Overall though, the Axis is a good design built well. It’s also a fine second-hand buy, particularly if you’re that strange brand of vinyl-junkie who actually wants to listen to music rather than tweak your turntable. Pay between £150 and £250, go for a one owner example with the original box and chuck the K9 (which it’ll inevitably come with) for a Goldring G1042. Tweakwise, the news isn’t so good. True, you could fit an Ittok or an Ekos, but you’d be a fool to try – the Axis just isn’t up to it. Early LVX fitted decks would benefit from the later Akito arm, but it really isn’t worth losing sleep over, especially considering Linn’s rather optimistic pricing of the latest Akito II! No, turntable fettlers look elsewhere, the Axis is happiest simply playing music, something it does rather well, with the minimum of fuss.